Seemebadanekayi Raitha is Chayote squash dunked in spiced yoghurt. Peel and chop the squash into small pieces. Boil in water for 3 to 4 minutes. Seive and keep aside. Grind Coconut, Green Chilies and Mustard Seeds coarsely. Add this to the cooked squash. Heat 2tsp Oil and add Musatard Seeds and when they start to splutter, add Curry leaves. Add this seasoning, Curds and Salt to the vegetable and mix well. 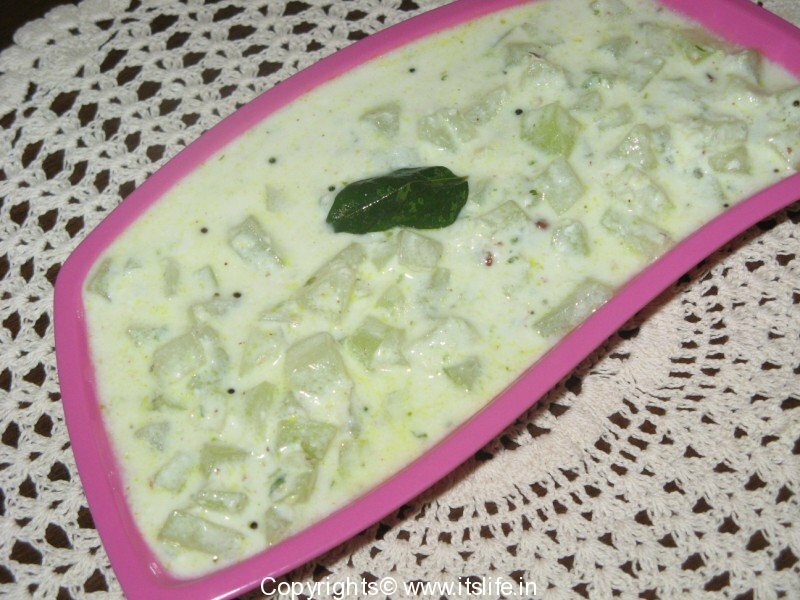 Serve with Phulka/Roti or Rice. Do try and let me know Deeps.